Every day the environment gets more and more contaminated. Millions of bacterias created by the pollution contaminate our bodies through the air and water. As well as pollution, airborne illnesses and germs can infect your body just by breathing. There is no future ending for pollution, but there is a effective way to avoid all these germs and bacterias to prevent any kind of illness. By improving your immune system you could deflect mostly all these germs. 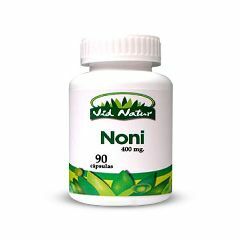 The most natural and effective way to increase your defenses is the all-natural Noni Extract Capsules. Noni is a fruit high in carbohydrates and dietary fiber that also stimulates the regeneration of defensive cells to keep your body healthy and free of germs and bacterias.Besides, the Noni Capsules aid avoiding diseases because they prevent oxidation of the defensive cells.